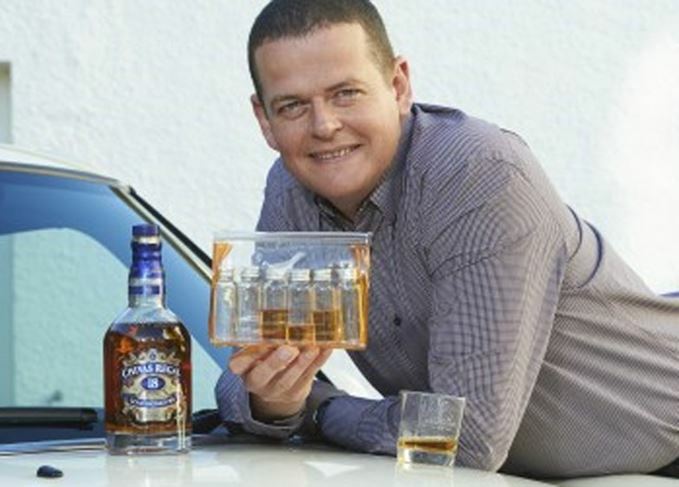 A Speyside distillery worker has revolutionised whisky tours for designated drivers by introducing a special kit designed to ensure motorists don’t miss out on tasting sessions. Rikki Scott, creator of the tasting kits, developed the idea after meeting so many disappointed distillery visitors. After meeting several drivers who were disappointed at being unable to sample the whisky, Rikki Scott, Aberlour distillery’s visitor centre supervisor, came up with an idea to create a more inclusive experience for all visitors. The kits, which are priced at £3 each and contain six bottles, a funnel and a carry bag, have proven so popular that an initial order of 1000 units have already sold out. Chivas Brothers has since ordered six times as much to cope with demand. Drink-driving in Scotland has been a contentious issue in the last 12 months with the tightening of restrictions in December 2014 said to have had a negative impact on the country's economy. Scott’s kits have received high praise from David Stewart, MSP for the Highlands, Islands and Moray, and Shadow Spokesperson for Transport and local road safety. Stewart said: ‘As with all road safety, education is the key in dealing with adverse driver behaviours. Scott’s kits will be available at all Chivas Brothers’ distillery visitor centres, which include Aberlour, Strathisla, and The Glenlivet in Speyside, and Scapa in Orkney. Chivas Brothers is to relaunch Scapa, commencing with the release of a new NAS single malt. Scapa's master distiller reveals the challenges of operating a remote Orcadian distillery.